Food is one of the many great aspects of travel. It plays a huge role in hospitality, community and customs. You may find yourself invited into a home to try a national dish, or end up sitting around on plastic chairs and tables sampling street food with the locals. Food brings people together and enriches travel! Since our Must-Try Meals From Around The Globe was such a popular article, and since there are so many more fabulous dishes to list, we decided to put together Part #2. Enjoy! 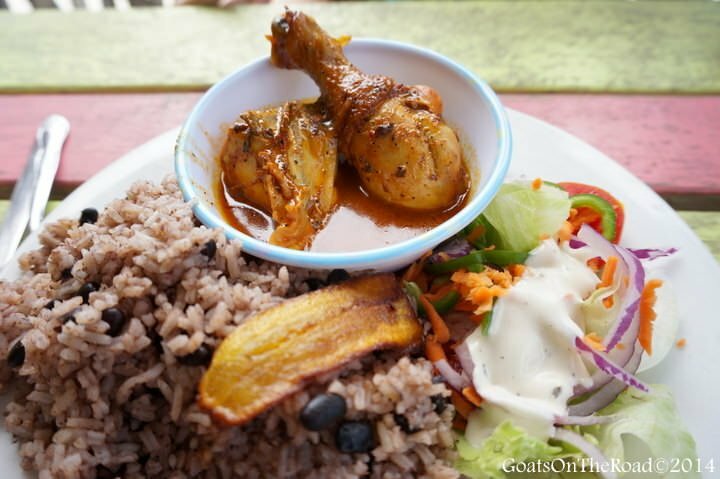 Rice and beans is a common meal all over Belize, and although beans contain protein, Belizeans try to incorporate meat of some sort into all of their dishes. Stewed chicken is a very popular choice and for good reason! The chicken is perfectly spiced with Creole seasonings and stewed until it falls off of the bone. Accompanied with a black bean and rice salad, plantain chips and garden salad, it makes for the perfect meal. Poblano peppers are stuffed with melted cheese ( either queso Chihuahua or queso Oaxaca), coated in an egg batter or corn flour, and fried. Usually some sort of tomato sauce will be poured over top. This dish originated in the city of Puebla in Mexico, and today it can be found all over the country as well as in U.S.A and Guatemala. Not the healthiest meal, but definitely delicious! 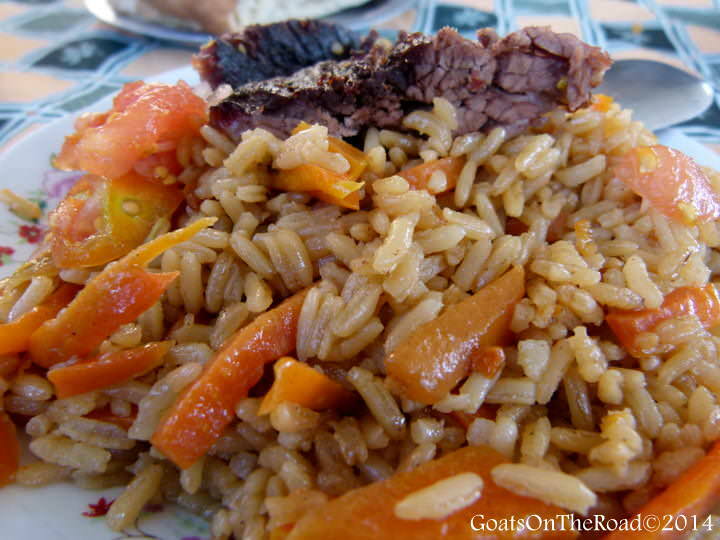 This is the signature dish of Uzbekistan, however it can be found all over Central Asia. Rice, carrots, onions and pieces of meat (usually mutton) are cooked over an open fire in a large cauldron called a kazan. This is a simple, yet hearty and flavourful meal. 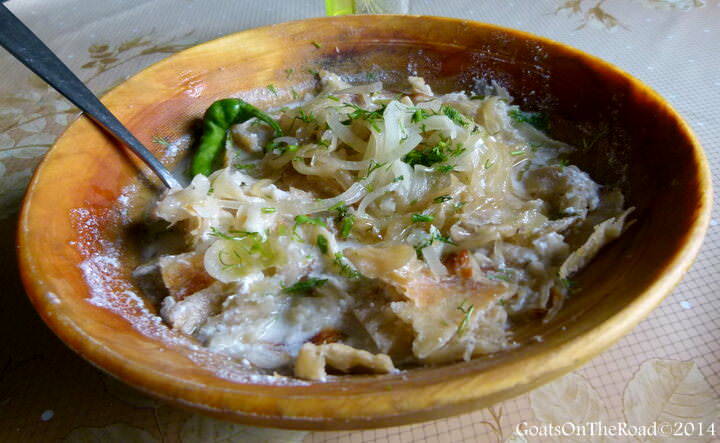 This is the national dish of Tajikistan, which is traditionally eaten with one’s hands and served in a wooden bowl. 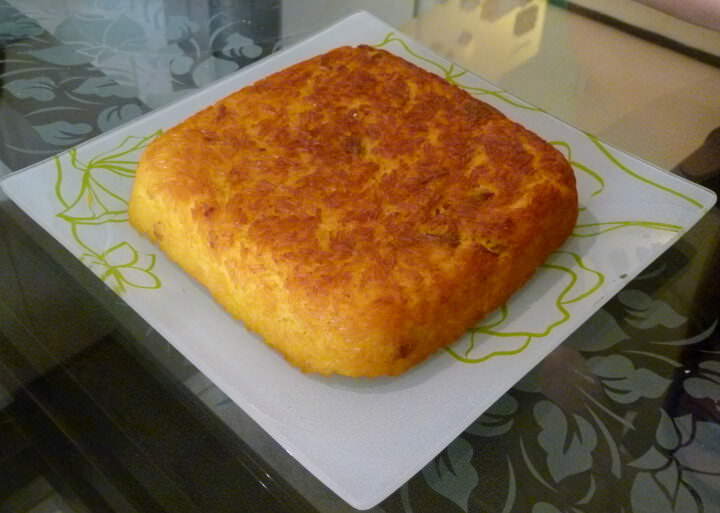 Thin, flaky flatbread is covered in a liquid made from water and dissolved salty cheese balls, sometimes yogurt is used as well. The dish is topped with onions and dill before serving. 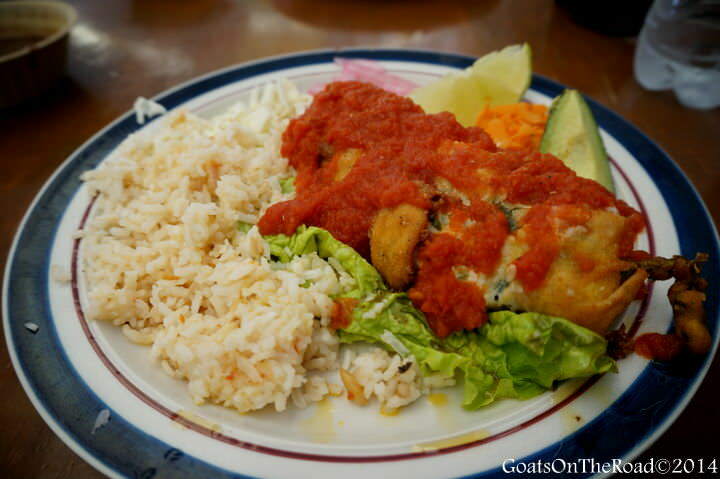 It would be hard to find this dish in a restaurant, but if you get offered it from a local, definitely say yes! This traditional, savoury dish is made from rice, eggs, saffron and chicken, all baked together in a perfect square. 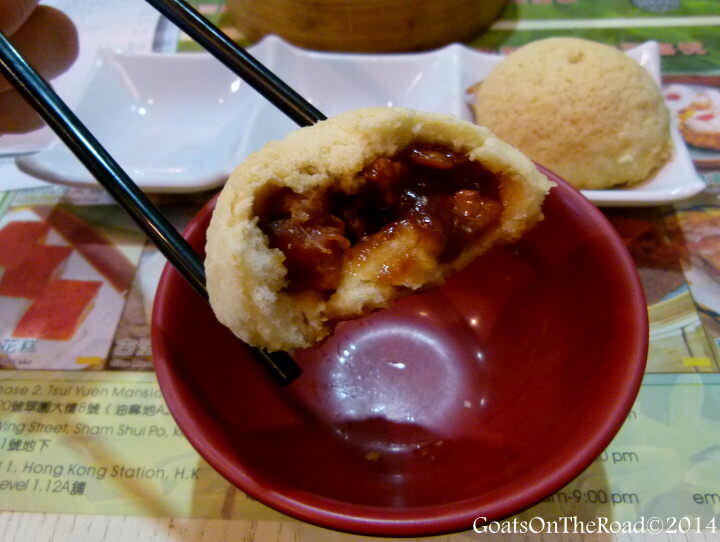 The dim-sum (Cantonese bite sized food) found in Hong Kong is delicious. Check out the world’s cheapest Michelin starred restaurant, Tim Ho Wan, to try steamed buns, pot stickers, dumplings and much more. 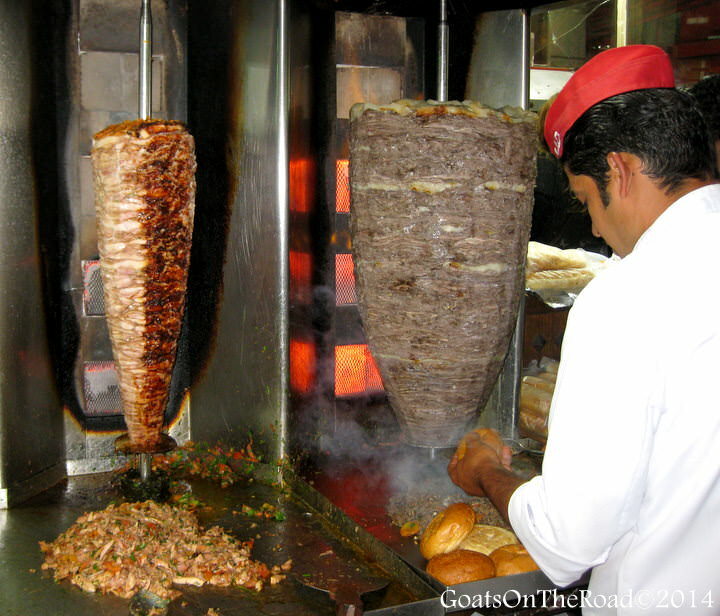 Shawarmas are popular throughout the Middle East. Meat (usually lamb, beef or chicken) is prepared on a vertical spit and grilled for hours, even days. When ready, shavings of the meat are cut off and served in a pita wrap or bun with onions, cucumbers, tomatoes and lettuce. A garlic sauce, tahini or hummus is sometimes included as well. After an incredible day of safari and spotting wild animals, why not sample them for dinner?! In Swaziland out on Milwane wildlife sanctuary, you can try wildebeest stew, springbok steak and gazelle curry. 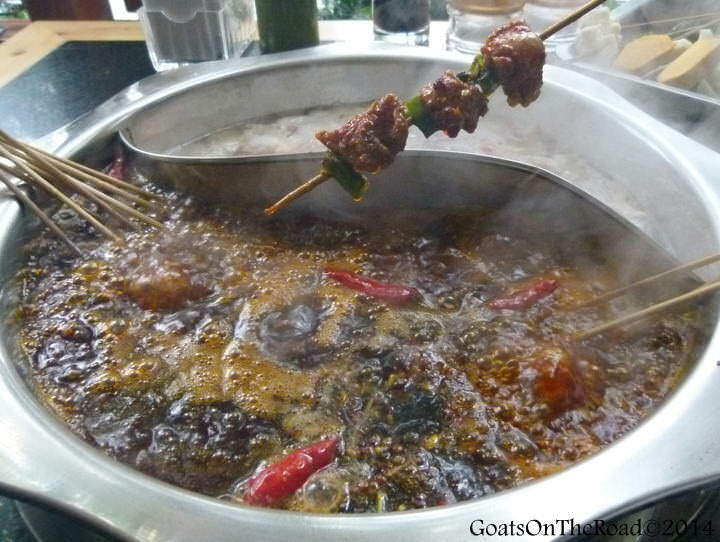 Hot-pots can be found all over Asia, but the spicy Sichuan hot-pot comes from China. Bits of sliced meat, all sorts of raw vegetables and tofu are dipped into a boiling-hot vat of spiced oil, or vegetable broth to cook. Because the meat is so thin, it doesn’t take very long before it is ready to eat. This is a great communal meal. 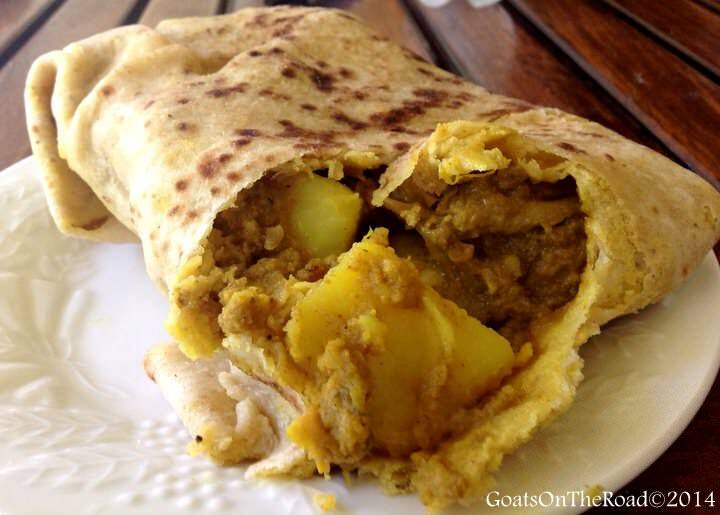 Roti is a bread made from wholemeal flour, typically eaten in the subcontinent, parts of South Africa and the southern Caribbean. This particular roti has chicken and chunks of potato with curry seasoning, all folded nicely in a roti packet. How many different foods from this list have you tried? Is food an important part of travel to you? If you liked this list, make sure to check out Must-Try Meals From Around The Globe, Part #1. I shouldn’t be reading this right now because I’m starving! And that dim sum looks so delicious. A friend of mine learned to cook Tah Chin after his trip around Iran. A total yum! Great that you were able to order your hot-pot mild 🙂 Spice or no spice, hot pot is fantastic! You’ll definitely have to try the rest! The food in China is some of our favourite, it’s completely different than the “Chinese” food we get in Canada! I haven’t tried much dim sum and definitely want to try more 🙂 The Iranian food is really good, try the camel meat! Dim sum, chile relleno and spicy hot-pot are some of my favorites! Great list of global cuisine- you’re making me hungry ;-P I would add pho to the list- vietnamese food in general is just to die for! Agreed! We both love pho, but don’t have any photos of it! ha. Tah-chin…. I haven’t had that dish in years!! My mouth is watering right now…..
Isn’t it delicious?! Definitely a favourite from Iran. Drooling….. The food really looks tasty… Dimsum and Shawarma looks yummy… what type of rice are they cooking on Stewed Chicken with Beans & Rice? is it black rice?